In 1993, I qualified in Public relations. Writing press releases, articles and reporting news forms a big part of my daily tasks. Utilize my experience as a content writer to provide entertaining and fresh content for your website, blog or news section. In February 2011, Google launched an update called Panda. This update from Google distinguishes between “high quality” content and sites which do not contain substantial or informative content. It is, therefore, important for webmasters and website owners to ensure that the information on their website is informative and something which site visitors find useful. What was the effect of the Panda update – why must my content be fresh and useful? Google has two types of rankings: organic and paid-for rankings. Organic rankings are the natural rankings which websites obtain when it is a popular site. Most webmasters aim to rank organically on the first page of Google – i.e. the top 10 rankings. This requires fresh and informative content. Paid for rankings appears above the organic rankings in search results. These rankings depend on the type of paid-for advertising campaign a company runs. The Panda update affected advertising websites which did not contain fresh and informative information. News and social media sites ranked higher due to the relevant and fresh content available on the websites after the Panda update. What is a high-quality content website? Google provided a 23-point list assisting webmasters who were affected by the Panda update to clarify the characteristics of a high-quality content site. The main point Google wants to make is that publishers should focus on their target audience – i.e. provide content which your readers find interesting and informative. Do not focus too much on the google algorithm. How could you help us with our content? It is very important to me as a consultant to ensure that clients provide only high-quality content on their websites. The process I follow includes an existing analysis of the content on the site. I also prefer to work with the internal staff dealing with customers to determine the kind of questions the public ask. We use client questions as a baseline to build a content calendar for the client which ensures high quality, relevant and informative content. Consider your website as a source to educate clients. Yes, we have several published articles as examples of my work. 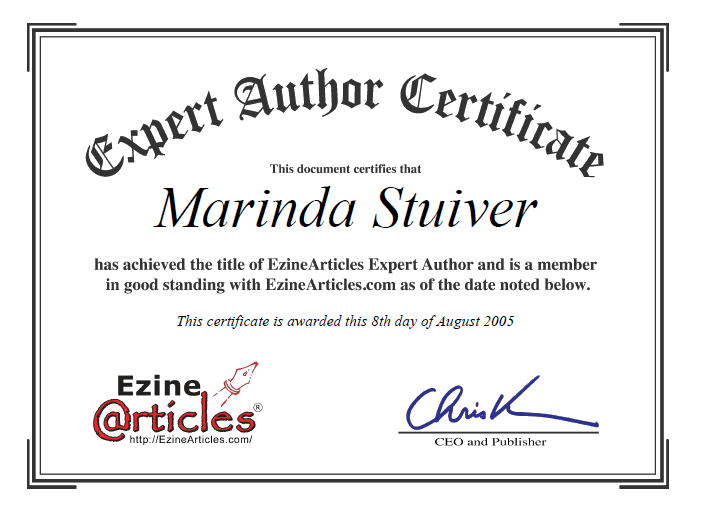 I will provide a link to clients that wish to read some of the published article, blog posts and press releases. Alternatively, feel free to visit my portfolio.